I get to do this. I am one of the lucky ones. I get to do what I love. I have two arms and two legs and everything works. It may not always work great, but it works. I get it done. I get to do it. And that’s amazing. It really is sometimes, isn’t it? Charlie Birchem Ligtenberg, a FB friend I met through Swim Bike Mom coined the phrase, “I get to do this.” It’s how she gets through her tough workouts…traipsing through freezing temps and snow to get her Minnesota runs in. I loved it. I borrowed it. And it works wonders. Just remind yourself, “I get to do this.” Not only for workouts but just about everything. The awesome Charlie racing away – getting to do it! Running the marathon today, I saw so many people with pained, miserable faces. I understand that its tough, but as Parag reminded me last night, this is your hobby. Stop stressing about it. You shouldn’t be doing this if it’s stressing you out – if you’re not having fun. You should be enjoying it! And that’s the attitude I take with doing races. I get to do them. I love to do them. I enjoy doing them. And I show it. I smile. I wave. I thank each and every volunteer and fan that I pass. They are the ones toughing it out. Getting up at 4 or 5 a.m. to help us all get out there and achieve our goals. And for what, a free t-shirt and wet cups being thrown at them? 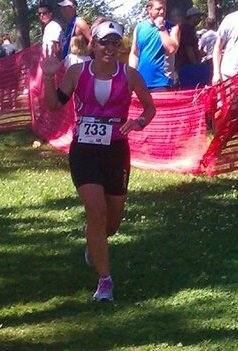 Me, cheering for the crowd and volunteers and getting everyone riled up! Good times! 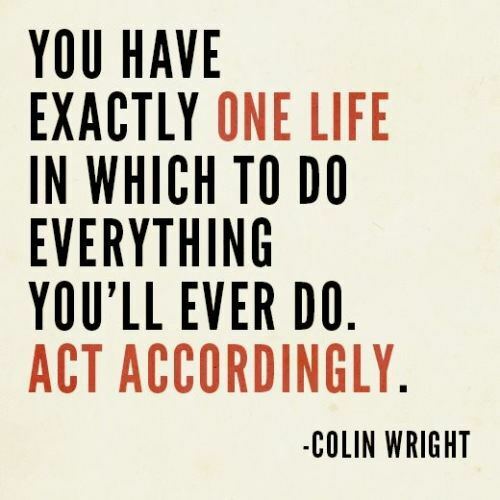 And so, while it may take a little more energy, try it. It will help your run immensely, I guarantee it. Smile. Enjoy yourself. Wave at the spectators. Thank them for coming out. Cheer for the volunteers, thank them for giving their time. Pay it back. And in the meantime, you’ll benefit, I promise. And you’ll have a whole heck of a lot more fun. SO today was the Best. Race. Ever. It was awesome. 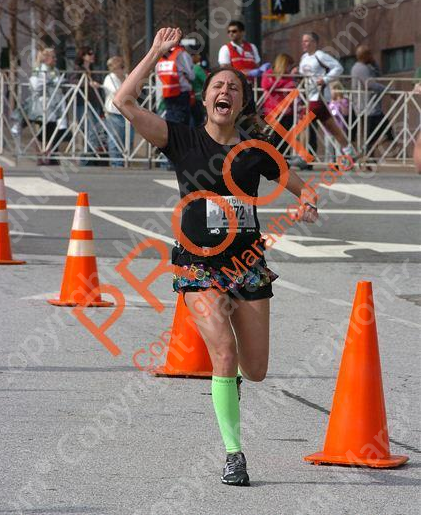 Tell me that’s not a “Best Race Ever” face! 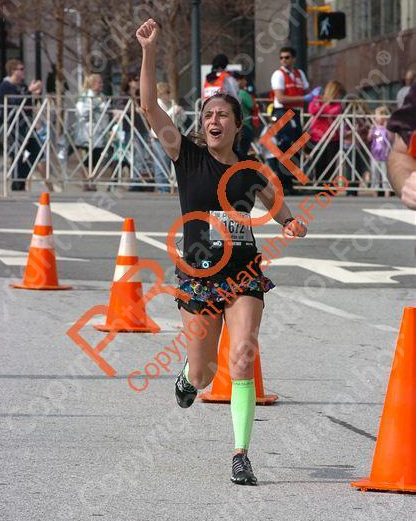 I’ve run the Georgia Publix Marathon before. I ran it last year. My goal was to go sub-four hours…but I couldn’t find the pace team at the start. Then I had to stop to go to the bathroom. A number of factors later, and I finished at 4:09. Ok but not great. This year I went back with the same goal, to break four hours. And that I did! How, you ask? 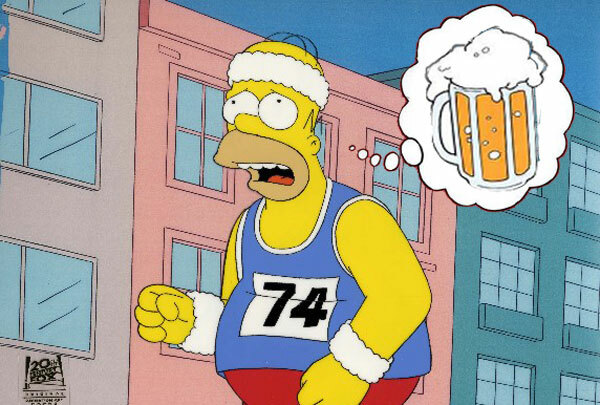 Since last year’s Marathon, I’ve added strength training. 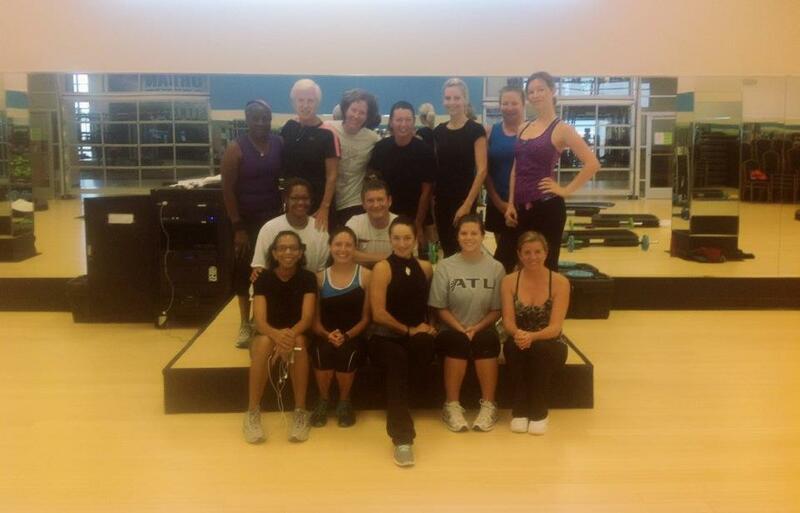 In particular, I added an awesome class that the awesome Alana teaches at Urban Iron in Buckhead that involves old school exercises like deadlifts, clean and jerks, rows, squats, etc. and uses a bar instead of free weights. Adding weights has made a world of difference. Since last year’s Marathon, I’ve added yoga. I found a class and teacher I like and I go as often as I can fit it in. 1. Since last year’s Marathon, I’ve eliminated most gluten from my diet, added a B vitamin complex and Iron compound in the morning and calcium and magnesium at night. Plus twice daily doses of turmeric during heavy training. The B vitamins and Iron help with energy. The calcium and magnesium at night help with muscle cramps and ease sleep. The turmeric is an anti-viral, anit-fungal and anti-inflammatory. Eliminating gluten also helps with inflammation and recovery. This all helps with recovery…so I can train harder, recover faster, and train harder all over again! 2. Attitude…its not that I had a bad attitude last year, but it’s better this year. That comes from a place of leaving a less than ideal work situation, joining an ideal work situation, and working on following my dreams. 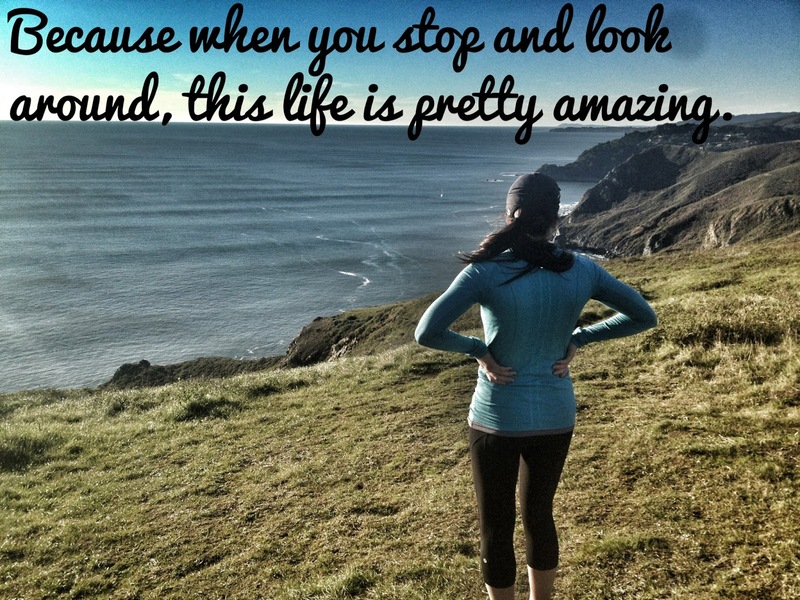 It also comes from a place of “I get to do this” and gratefulness for what I have and what my life has become. This is the NEW attitude. Try it out. It’s pretty awesome. But that’s for the race report! Till we meet again! Yoga Goat! Come Get Your Yoga on Goat-style! Spotted in Xterra Trail Mix!